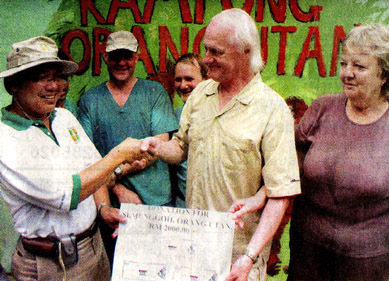 Aman (picture above) enters the Guiness Book of Record by becoming the first orang utan in the world to undergo phacoemulsification for mature cataracts. His poor vision has resulted in several falls while attempting to swing from tree to tree. He was left aphakic in both eyes. Secondary implants may be performed at a later date unless he agrees to wear aphakic glasses. 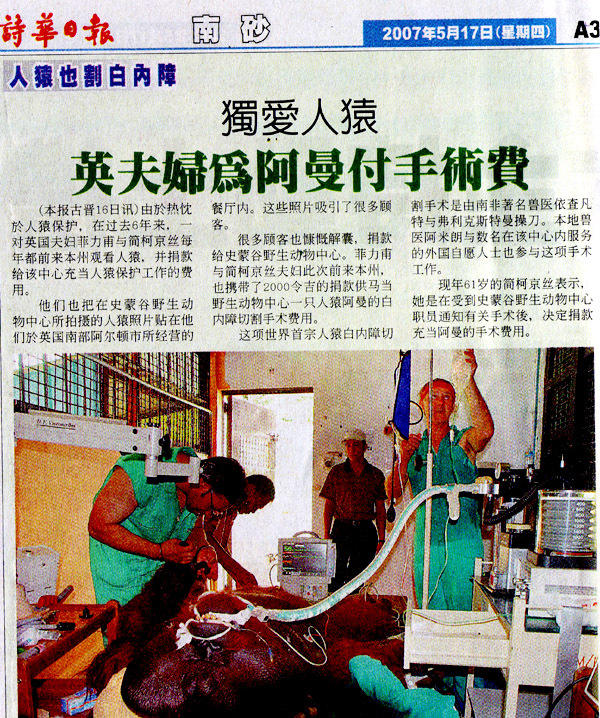 The world's first- ever cataract operation on an orang utan was conducted by animal ophthalmologist Dr Izak Venter and anaesthesiologist Dr Frik Stegman, both from South Africa, at the Matang Wildlife Centre here today. 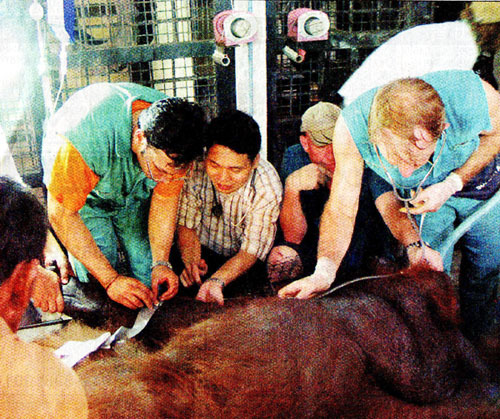 Dr Venter, from the Medical Centre Group of Hospitals in South Africa, said the operation on the orang utan named Aman (Peace), in its 20's, was to save the primate's eyesight. The three-hour operation this morning was successful, he told reporters after the operation. 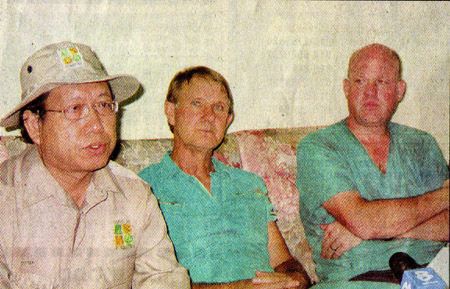 Aman's cataract problem was detected in March and Dr Venter himself had examined the primate's eyes and its health to see whether the operation was possible. According to Dr Venter, the cataract operation using the phacoemulsification procedure had been generally successful with patients with better eyesight. 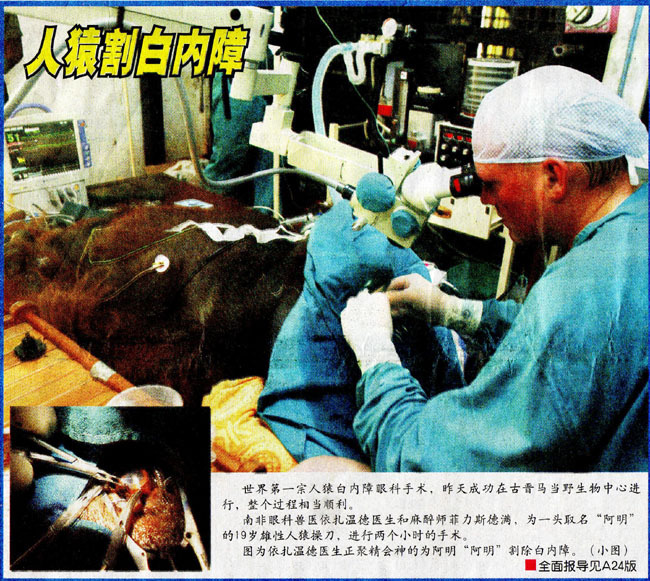 He said animals responded differently after an operation with some taking longer than others to regain their eyesight. 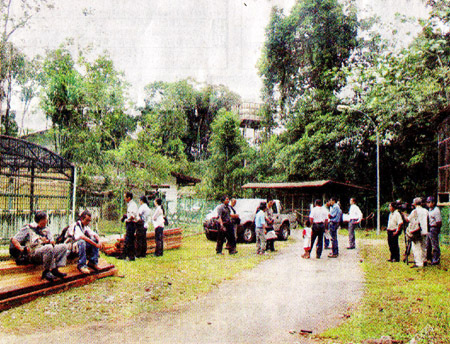 Aman, which was rescued from a market in Sarawak in 1989 had been kept at the Semenggoh Wildlife Rehabilitation Centre since then before being transferred to the Matang Wildlife Centre in December 2000. He has had two serious accidents at the centre. 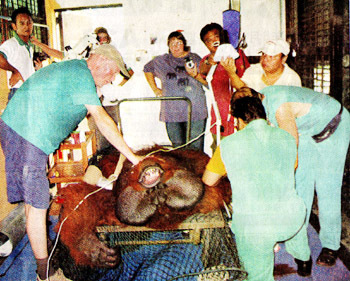 He bit an electric cable and had to have his tongue removed and in 2000, his left index finger was bitten off by another orangutan. It has two female offspring aged three years and one month with his mates Chiam and Lena at the centre. On the way to the operating theatre. Donation from tourists for the operation. Press conference for relatives and reporters. 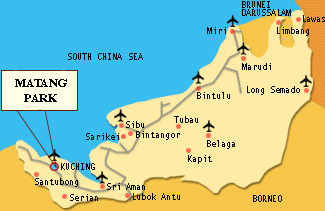 The operations were covered by all major newspaper in Sarawak.